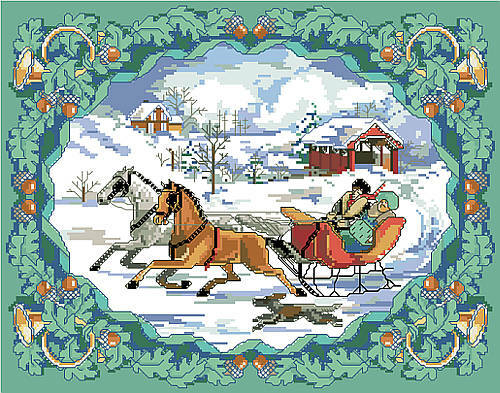 Your home will begin to feel a lot like Christmas with our Victorian-inspired winter scene. Vintage postcards were the inspiration for the elegant Nostalgic Christmas picture by Sandy Orton. This classic illustrated with beautifully colored details that recall childhood Christmases spent at grandma's house. Contents: Stitch Count 196h X 154w, finished size on 14-ct fabric 14" X 11"